Στο πλαίσιο του κύκλου ερευνητικών σεμιναρίων του ΜΒΑ και του Εργαστηρίου Επιχειρησιακής Στρατηγικής του ΟΠΑ, σας προσκαλούμε σε ερευνητικό σεμινάριο με εισηγήτρια την Pamela Perrewé, Διακεκριμένη Καθηγήτρια στο Florida State University (ΗΠΑ). Το θέμα της εισήγησης είναι: How to publish in top journals and network in the Academia. Μετά το πέρας της διάλεξης θα ακολουθήσει συζήτηση. Η διάλεξη θα πραγματοποιηθεί στα Αγγλικά. 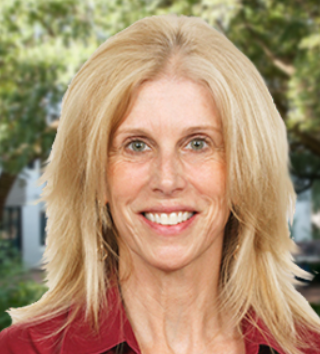 Pamela L. Perrewé is the Robert O. Lawton Distinguished Professor and Haywood and Betty Taylor Eminent Scholar of Business Administration at Florida State University. She received her Bachelor degree in Psychology from Purdue University and her Master and Ph.D. degrees in Management from the University of Nebraska. Dr. Perrewé primarily teaches courses in Organizational Behavior and Human Resource Management and has taught at the undergraduate, masters, and Ph.D. levels. She has served on approximately 100 doctoral dissertation committees and has chaired over 20 of these dissertation committees. She has been awarded the Developing Scholar Award, University Teaching Award, and Graduate Mentoring Award at Florida State University. Dr. Perrewé has focused her research interests in the areas of job stress, coping, organizational politics, emotion and social influence. Dr. Perrewé has published over 40 books and book chapters and over 130 journal articles in journals such as Academy of Management Journal, Journal of Management, Journal of Applied Psychology, Organizational Behavior and Human Decision Processes, Journal of Organizational Behavior, Journal of Occupational Health Psychology, and Personnel Psychology. She has served as a member of the Editorial Review Board for Academy of Management Journal, Journal of Occupational Health Psychology, Human Resource Management Review, and Leadership and Organizational Studies. She has fellow status with Southern Management Association, the Society for Industrial and Organizational Psychology, the Association for Psychological Science, and the American Psychological Association. Further, she is the lead editor of an annual research series entitled, Research in Occupational Stress and Well Being published by Emerald Publishing. Finally, Dr. Perrewé is the Faculty Athletics Representative for Florida State University and she is the liaison to the Atlantic Coast Conference and the National Collegiate Athletic Association. Στο πλαίσιο του κύκλου ερευνητικών σεμιναρίων του ΜΒΑ και του Εργαστηρίου Επιχειρησιακής Στρατηγικής του ΟΠΑ, σας προσκαλούμε σε ερευνητικό σεμινάριο με εισηγητή τον Gerald R. Ferris, Διακεκριμένο Καθηγητή στο Florida State University (ΗΠΑ). Το θέμα της εισήγησης είναι: How to publish in top journals and mentor PhD students. Μετά το πέρας της διάλεξης θα ακολουθήσει συζήτηση. Η διάλεξη θα πραγματοποιηθεί στα Αγγλικά. Gerald R. Ferris is the Francis Eppes Professor of Management in the College of Business and a professor of psychology and professor of sport management at Florida State University. Formerly, he held the Robert M. Hearin Chair of Business Administration, and was Professor of Management and Acting Associate Dean for Faculty and Research in the School of Business Administration at the University of Mississippi from 1999-2000. Before that, he served as Professor of Labor and Industrial Relations, of Business Administration, and of Psychology, and Caterpillar Foundation University Scholar, at the University of Illinois at Urbana-Champaign from 1989-1999, and as the Director of the Center for Human Resource Management at the University of Illinois from 1991-1996. Ferris received a Ph.D. in Business Administration from the University of Illinois at Urbana-Champaign. He has research interests in the areas of social influence processes in human resources systems, and the role of reputation in organizations. Ferris is the author of numerous articles published in such journals as the Journal of Applied Psychology, Organizational Behavior and Human Decision Processes, Personnel Psychology, Academy of Management Journal, and Academy of Management Review. He served as editor of the annual series, Research in Personnel and Human Resources Management, from 1981-2003. Ferris has been the recipient of a number of distinctions and honors. In 2001, he was the recipient of the Heneman Career Achievement Award, and in 2010, he received the Thomas A. Mahoney Mentoring Award, both from the Human Resources Division of the Academy of Management. «Organizational Politics and Work Outcomes in Economically Challenged Environments». στην Αίθουσα Τελετών του κεντρικού της κτηρίου του Οικονομικού Πανεπιστημίου Αθηνών. *Μετά το πέρας της διάλεξης θα ακολουθήσει συζήτηση. Η διάλεξη θα πραγματοποιηθεί στα Αγγλικά. 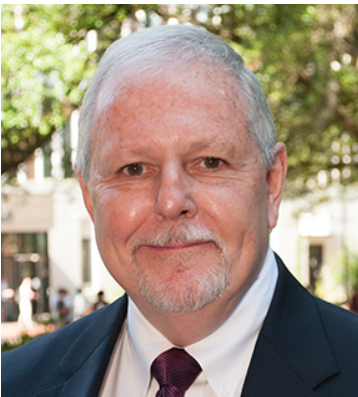 Gerald R. Ferris is the Francis Eppes Professor of Management in the College of Business and a professor of psychology and professor of sport management at Florida State University. Formerly, he held the Robert M. Hearin Chair of Business Administration and was Professor of Management and Acting Associate Dean for Faculty and Research in the School of Business Administration at the University of Mississippi from 1999-2000. Before that, he served as Professor of Labor and Industrial Relations, of Business Administration, and of Psychology, and Caterpillar Foundation University Scholar, at the University of Illinois at Urbana-Champaign from 1989-1999, and as the Director of the Center for Human Resource Management at the University of Illinois from 1991-1996. Ferris received a Ph.D. in Business Administration from the University of Illinois at Urbana-Champaign. He has research interests in the areas of social influence processes in human resources systems, and the role of reputation in organizations. Ferris is the author of numerous articles published in such journals as the Journal of Applied Psychology, Organizational Behavior and Human Decision Processes, Personnel Psychology, Academy of Management Journal, and Academy of Management Review. He served as editor of the annual series, Research in Personnel and Human Resources Management, from 1981-2003. Ferris has been the recipient of a number of distinctions and honors. In 2001, he was the recipient of the Heneman Career Achievement Award, and in 2010, he received the Thomas A. Mahoney Mentoring Award, both from the Human Resources Division of the Academy of Management. Όπως εγκρίθηκε από την Ειδική Διατμηματική Επιτροπή της 7ης Μαρτίου 2018, οι κάτωθι φοιτητές του ΜΒΑ λαμβάνουν υποτροφία από τον όμιλο LIBRA GROUP. Συγκεκριμένα, η ευγενική χορηγία του Ομίλου LIBRA GROUP αφορά 15 υποτροφίες των 2000€.